This week the Natural History Museum in London will hold the ceremony to announce the winners of the Wildlife Photographers of the Year. The winning images are powerful reminders of life beyond cell phones, Facebook, and other daily routines we have become accustomed to. Notably, some of the most impressive categories are from those not even old enough to drive. 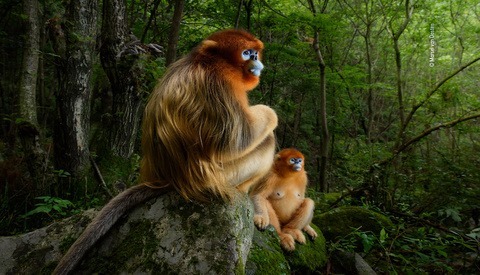 In the Guardian this week were the winners of the wildlife photographers of the year. Some images showed the incredible size of ice shelves from underwater, some with the curiosity of animal behavior and some captured the devastating murders of endangered species. 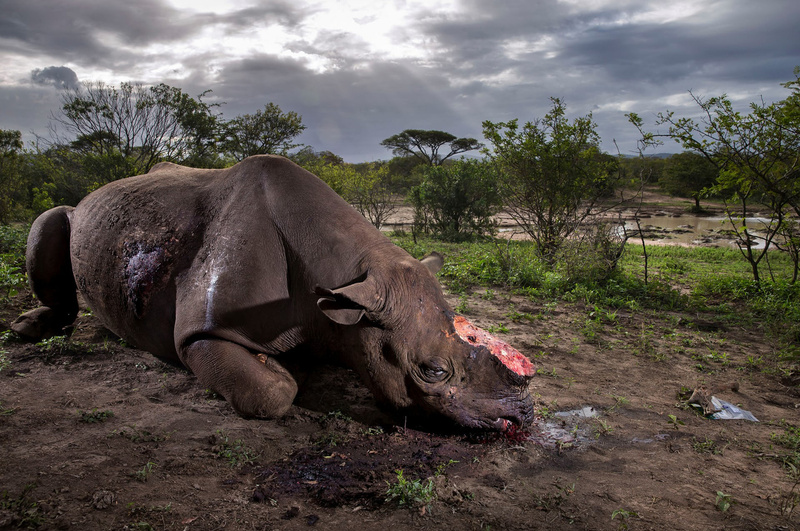 Brent Stirton captured this image of a Black Rhino murdered in the Hluhluwe Imfolozi game reserve for the horns to be sold into South Africa or China. 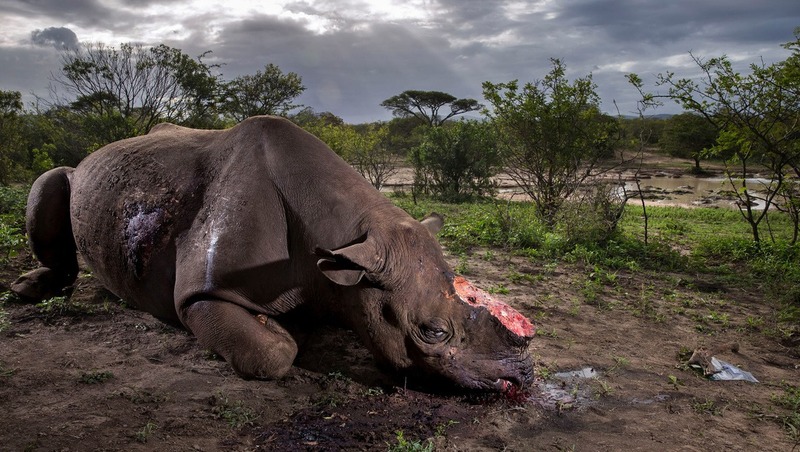 The final image won the Wildlife Photographer of 2017 as well as the Wildlife Photojournalist Award in the story category. 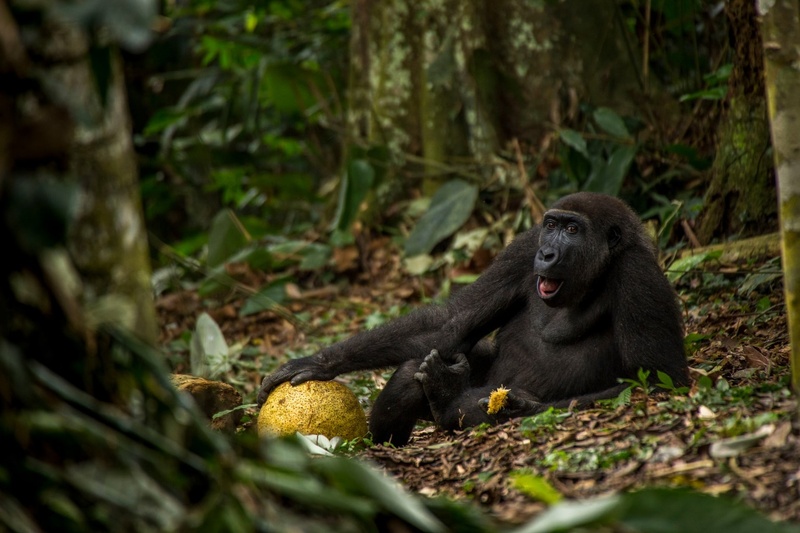 Another powerful category winner was by Daniël Nelson of a western lowland gorilla. The ability to capture a natural moment of this ape would be difficult enough by a seasoned anthropologist so to read that it was in the 15-17-year-old category was impressive, to say the least. 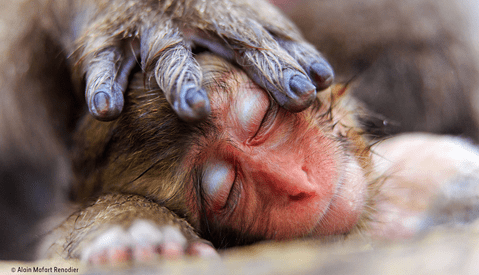 The 11-14-year-old category winner was telling a story through her image. 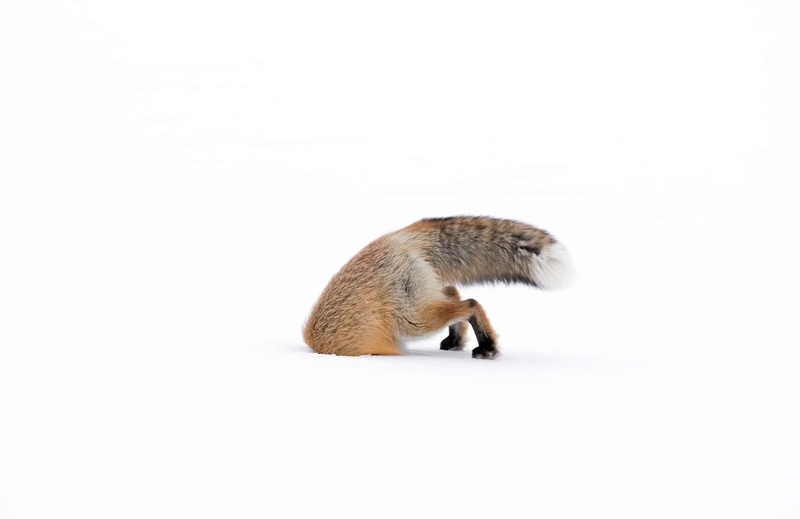 Ashleigh Scully caught this moment of an American red fox pouncing into the snow for prey during her hunt. The images express the "harsh reality of winter life in Yellowstone” according to Scully. The 10 and under category was won by Ekaterina Bee of Italy. 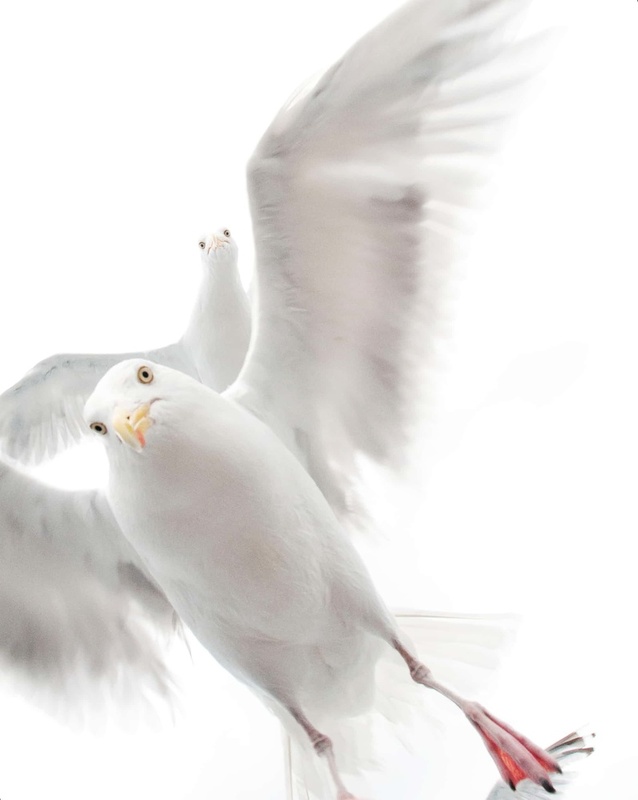 During a boat trip off the central coast of Norway, she spotted a few herring gulls after her food. Her reaction was not to the closest bird but the expression of the bird behind. She wrote, "It looked very curious, as if it was trying to understand what was happening on the boat." The Earth's environment category was won by Laurent Ballesta of France. 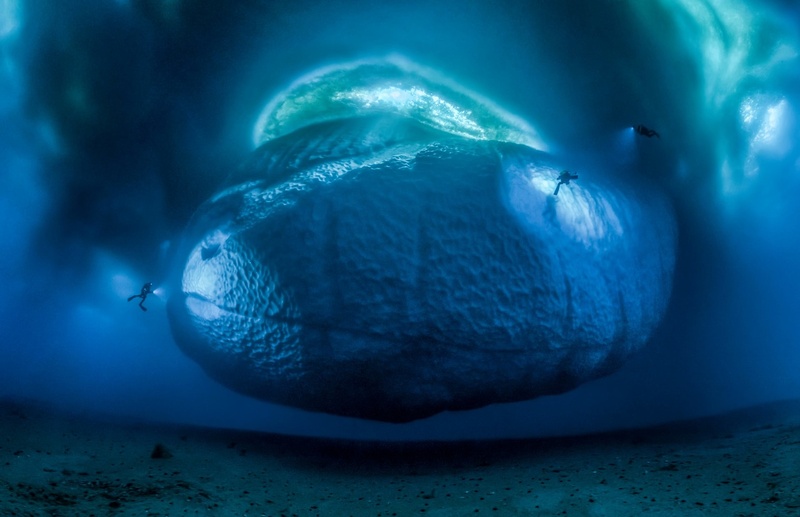 The immense size of this ice shelf in East Antarctica was shown by the scale compared to the divers beside it. Although capturing this image was not easy. It took three days of planning, installing grid lines and taking a series of images to get the final scene. For a full list of winning images and the powerful stories behind them check out The Gaurdian. Regarding photos taken by children, while I don't want to diminish their achievement, I think it's more likely attributable to the Infinite Monkey theorem than anything else. True...sadens me so deeply that picture :( and all for the consumerism of this spineless bastards who believe that consuming those horns will make them something else. Every single time i see this kind of photograph, a feeling of revenge and anger flows through my veins, this urge of hurting all the responsible for this cruelty. But that makes of me as bad as they are..
Not as bad. You don't act out your feelings. In any case, I have more understanding for a crime of passion than one for dollars. Hi Sam, agreed about the rhino photo, but don't discount the photos taken in the youth categories. Personally, as someone who is a young photographer (a few years too old to enter any of the categories in this competition), I've seen some names very consistently rise above the rest. Although I hadn't heard of Daniël Nelson or Ekaterina Bee before, I have known at least about Ashleigh Scully's work for a while, as she routinely has entered and won many of the same competitions I did. She's had multiple photos on exhibit at the Smithsonian Museum of Natural History, and I don't think it's a fluke that her work, or the work of the other under-18 photographers, garnered recognition in this competition as well. No disrespect intended — just wanted to point out that many highly-skilled youth photographers don't receive as much credit as they should simply due to their age. And in the same way, some, not all, receive credit simply due to their age. Edit: So I went to Ashleigh's website. Very nice photos and not just for a 15-year old. Even if that's true initially, I'd say that it is worth recognizing the work of young photographers who consistently stand above their peers, since they are likely to do so in the future. 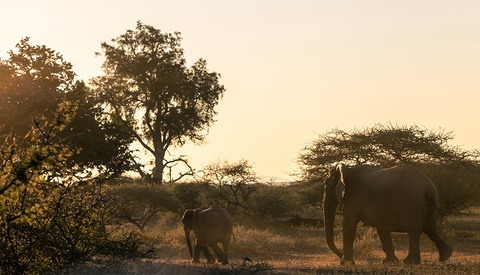 For example, Will Burrard-Lucas is one of the best-known wildlife photographers today, and he started by winning many of these competitions in the youth categories (and then later in the professional categories). Same goes for photographers like Alex Mody, who currently runs workshops with Ian Plant, one of the top landscape photographers in the world. Many of these people will form the next generation of nature photographers (or are doing so already), and the Infinite Monkey theorem doesn't have much to do with it. They're just really talented. I suppose that is a fair interpretation! Scrat is alive! I knew it!!!!!!! !